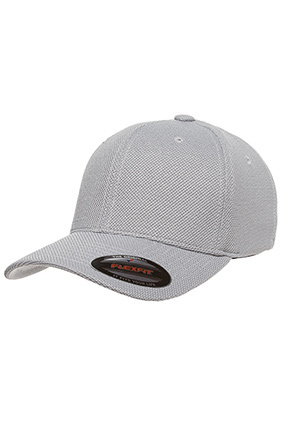 99% polyester/1% spandex cool & dry pique cap. Structured, mid-profile. Six-panel, 3½" crown. Permacurv® visor, silver undervisor. Moisture-wicking. Sizes: 6 7/8"- 7 3/8"